The reliance that most people and businesses have on the Internet and computer technology today is astounding. That is not to say that this is a bad thing, but only that it means there is a greater need than ever for security within the field. Working as a computer forensics specialist, it may be part of your job to ensure that the computer networks and Internet remains safe for those who use it. And, because of the reliance that the world has on these services, there has never been a time when there was a greater need for professionals in this industry. 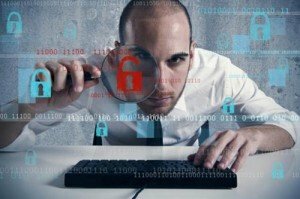 What Is a Computer Forensic Specialist? Those people who work in this field are often very well versed in computer technology, sciences, and criminal justice. This field is a newer one, in terms of the need for these positions. In short, they are one of the best ways for companies to safeguard their assets connected to the Internet and computer networks. Computer crime, which is one of the fastest growing types of crime today, is the focus of this field. Individuals who work as these specialists will do the following types of work, depending on where they work. Individuals working within police departments or other criminal areas will also likely work on cyber crime, including areas of abuse of children, women, or others, as well as theft and fraud. Criminal forensics will focus on finding data and evidence and solving problems. Is There Growth in This Field? Like most types of computer-related careers, this field is growing and will likely continue to do so for years to come. According to the Department of Labor, Bureau of Labor Statistics, this field is likely to see at least a 19 percent growth from 2010 through 2020 in the number of jobs available. Individuals with a speculation in cyber crime may be even more in demand as more companies work towards putting these positions into place. What Type of Education Does This Field Require? The initial goal is to obtain a bachelor’s degree in this field. Many do this to achieve a computer science bachelor’s degree. However, many higher level positions require additional training. That training may involve areas such as computer specialist work. For this reason, most will obtain their bachelor’s degree, begin working in the field, and then work to complete a master’s degree. If this is the path the individual is likely to take, many will benefit from enrolling in online education to do so. This allows the individual to work and study at the same time. Accredited schools are available for most bachelor and higher level work in computer sciences. When choosing to work as a computer forensic specialist, it is often necessary to continue education. As the International Association of Computer Investigative Specialists indicates, there is a growing demand for professionals in this industry to work within state, local, and federal levels, as well as internationally, to protect people. For those who love computers and technology but also want a rewarding career path to take, this may be the ideal choice overall, especially with the rate of growth present.